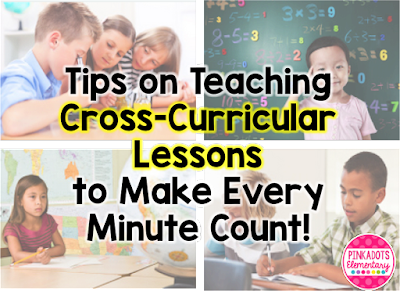 Pinkadots Elementary : Tips on Teaching Cross-Curricular Lessons to Make Every Minute Count! 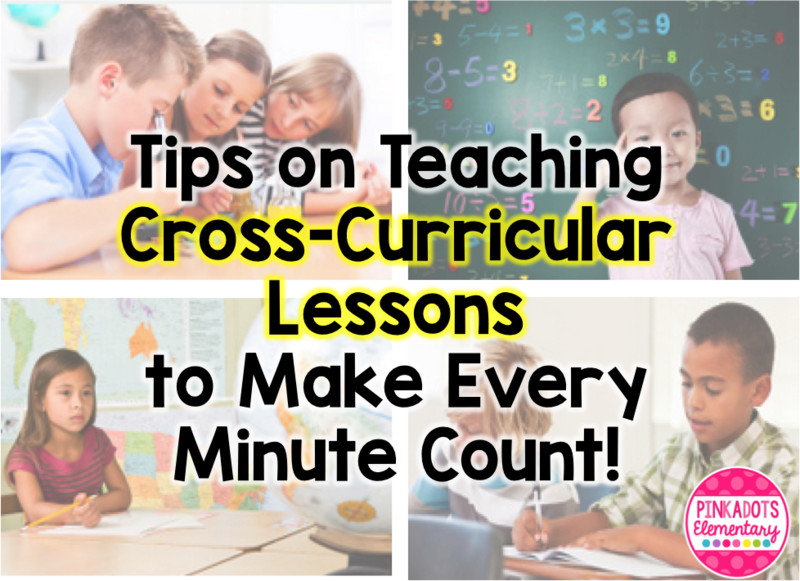 Tips on Teaching Cross-Curricular Lessons to Make Every Minute Count! Cross-curricular projects help students construct knowledge, develop skills, and deepen understanding in a stimulating lesson interconnecting with a wide range of subjects. For example, math students use their writing, science, and technology classes to prepare them for constructing a bridge built out of tooth picks that will hold a bar of soap. As students research bridge designs, write plans for their project, and learn the physics behind bridge building they are becoming deeply involved in their work and learning how to solve real-world problems. Of course, if we are talking Common Core State Standards, these projects cover a wide range of standards and allow students to master some and go above and beyond on others. Cross- curricular lessons do not have to be giant projects. They can be as simple as using an article about the water cycle in reading class to focus on note taking, close reading, or even main idea and supporting details. 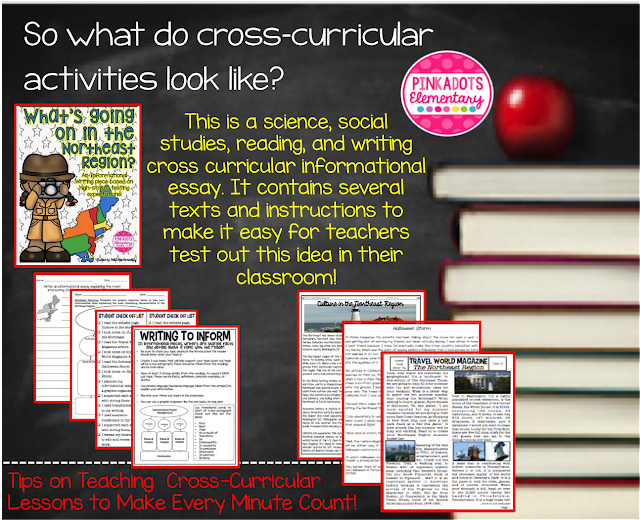 You could focus your guided reading time on nonfiction texts with Science or Social Studies themed books. 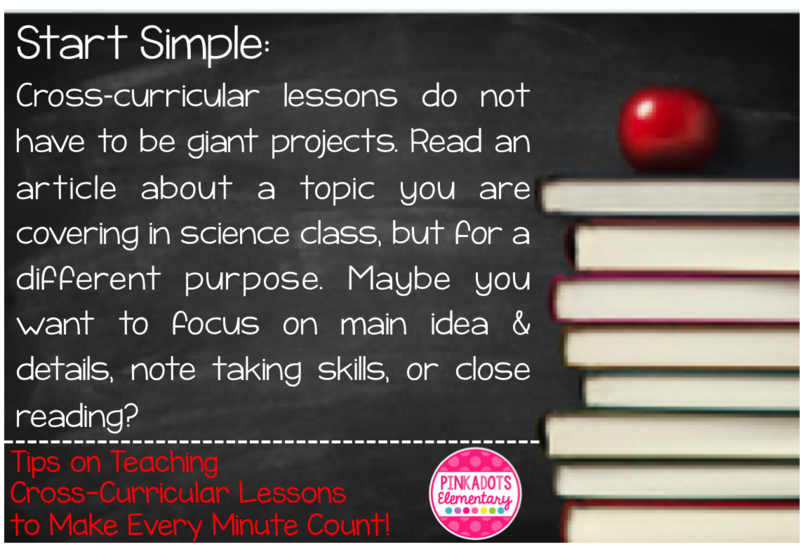 Start simple and test it out with your class or even a small group. 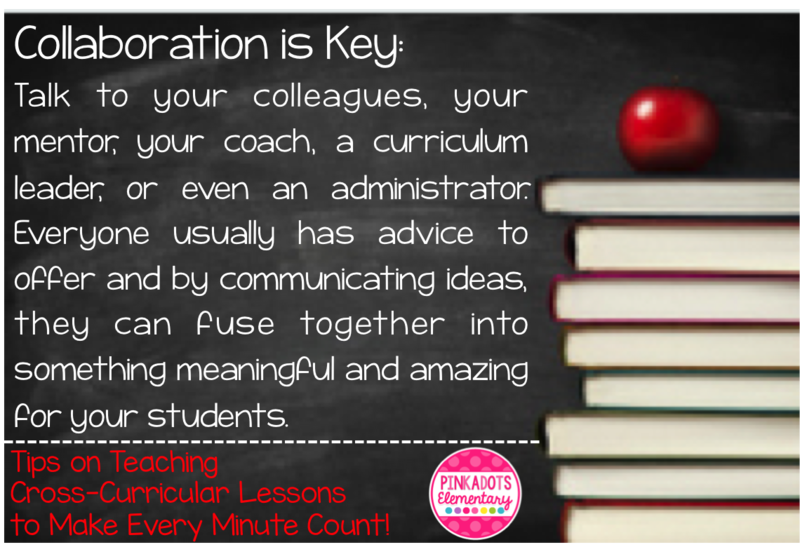 Collaboration is key. Is your school departmentalized? This year I am teaching Science and Social Studies, but Robyn is teaching Reading and Writing. We plan on checking in with one another on the current unit, skills, and standards we are covering and overlap them as much as possible. 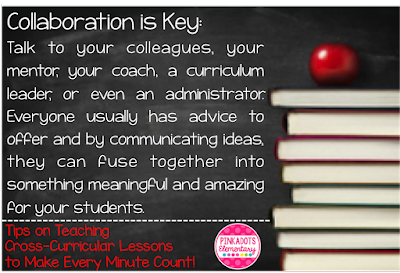 In order to get the most out of a lesson, as a teacher, you need to communicate. Talk to your students about what they are learning, talk to your colleagues about what they are teaching (sometimes you will get two different answers... haha), talk to you curriculum instructors or coaches about how they can assist in the process. By talking out ideas, they can develop into amazing lessons and learning experiences. As you become more confident in your cross-curricular lessons, you will notice, the more planning and thought you put into your lessons, the better they will be. I find it helpful to write down the themes or big ideas that each content class is covering and then think to myself, "How can I combine these?" Sometimes the ideas are so FAR FETCHED, it is impossible to combine, but other times you'd be surprised at how well it flows. 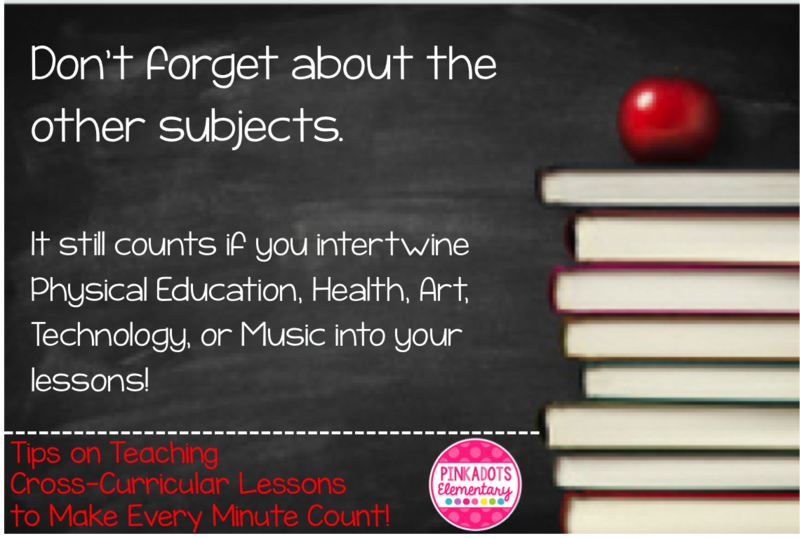 However, if content does not match at all, it never hurts to review information or pre-teach content for students to gain important background knowledge, especially on difficult topics! My husband is a middle school Physical Education teacher and I hear about him incorporating ELA and even Math standards into his lessons all the time. Are you working on visualizing? Have students write descriptive passages and read them to the class. If students are working on water-colors in Art class, they can use them to illustrate the imagery that they picture from the passages. Are you working on teaching angles in Math class? Talk to the PE teacher. I've seen students play freeze tag, but instead of just "freezing" they had to freeze forming the angle the teacher called out. The possibilities are endless! I am SO excited to have finished this product just in time for back to school. I worked with ELA, Science, and Social Studies content to develop this cross-curricular writing activity that is PERFECT to prep your students for high-stakes testing expectations. This product is a great way to cover Social Studies, Science, Reading, and Writing all in one. 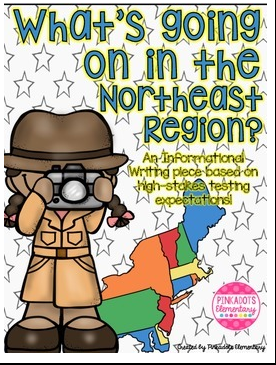 It is the definition of cross-curriculum teaching and will definitely hold your students interest as they read a website, magazine article, and fictional story (all written by me) based on culture, climate, and landmarks in the Northeast Region. These 21 pages include everything a teacher needs to get his/her students writing. Not comfortable with writing standards? There is a page that can be blown up for an anchor chart or even shrunk for a student notebook. A student check list, a graphic organizer to use as a plan, note pages, writing paper, three multi-page articles, and much more all come together to help you connect the content areas. 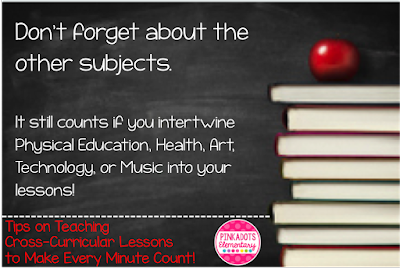 Have you tried Cross-Curricular activities in your classroom? I'd love to hear your success stories!